Kristina Derro concentrates her practice in civil matters with a special emphasis on veterans law, real estate, and contract litigation. Prior to joining the Fausone Bohn team, Kristina worked as a social worker with the economically disadvantaged and populations suffering from mental health disorders. During her time at the University of Michigan, she also worked in Livonia Public Schools as a social worker, helping students in special education programs. She joined the firm as a law clerk in 2005, and after law school came back and has been one of the firm's go-to attorneys for veterans law issues. 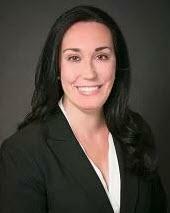 Kristina's expertise has earned her recognition as a 2013 Super Lawyers Rising Star and a 2012 Michigan Lawyers Weekly, Up & Coming Lawyer. She is a 2006 graduate of Wayne State University Law School and has both a Bachelor's and Master's degree from the University of Michigan.